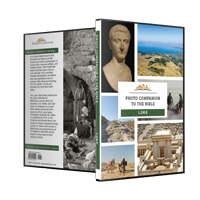 A decree went out from Caesar Augustus to take a census of all the inhabited earth (Luke 2:1). 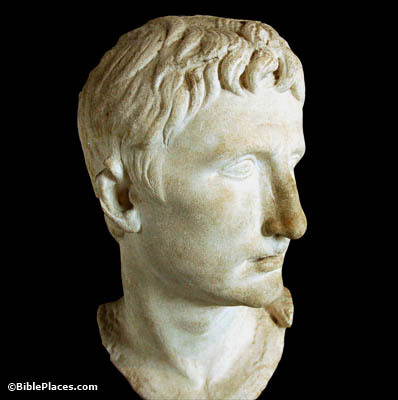 As the first Roman emperor, Caesar Augustus reigned from 27 BC to AD 14. He was a superb organizer, demonstrated (among other things) by the multiple censuses he took while in power. But while this particular census must have served a needed administrative function for him, it also served a more important purpose; through it, God providentially brought Joseph and Mary to Bethlehem during the time Jesus was to be born, fulfilling the prophecy of Micah 5:2. She gave birth to her firstborn son, and wrapped Him in cloths, and laid Him in a manger. There was no room for them in the guest chamber (Luke 2:7). The word often translated as “inn” here is more appropriately understood as meaning “guest chamber.” Instead of being turned away from a full inn, it rather seems like Joseph and Mary were denied proper hospitality by their own relatives. It’s possible that instead of hosting them in the guest room, they forced the couple to stay in a lower room such as this one, where the family’s animals slept. There were shepherds in the fields nearby, keeping watch over their flock (Luke 2:8). A common argument against December 25 possibly being the actual birth date of Jesus is the weather, since a cold night in winter wouldn’t be a comfortable time for shepherds to be tending their sheep in the field. 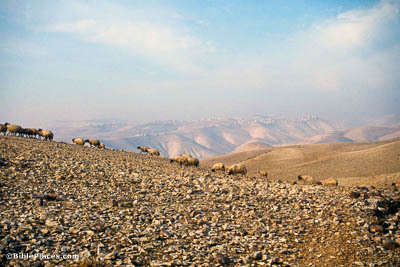 However, December nights in Bethlehem aren’t always cold; this picture was taken on Christmas morning, and the flock’s shepherd had spent the night outdoors with them. They . . . found both Mary and Joseph and the baby lying in the manger (Luke 2:16). Contrary to popular depictions, it’s likely that the manger Jesus lied in was made of stone, not wood. 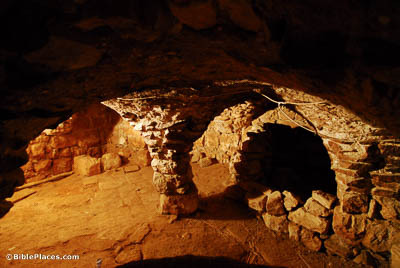 Stone, after all, was the most plentiful (and therefore the most used) building material in Israel. 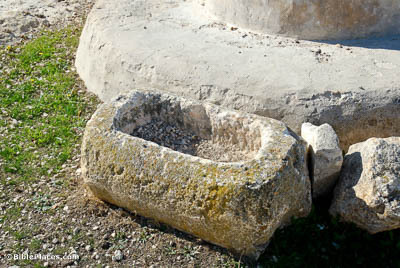 Many examples of these stone mangers have been found, and while it’s possible that wooden mangers did exist at this time, none have been preserved. And His parents went to Jerusalem every year at the Feast of Passover. When He was twelve years old, they went up according to the custom of the feast (Luke 2:42). 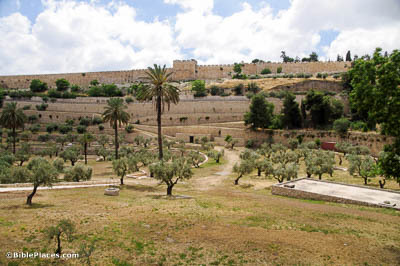 Making their annual pilgrimage to Jerusalem, Jesus’s parents may have had this view as they entered the city limits. By mentioning Jesus’s age, Luke may be indicating that Jesus was old enough now to be considered an adult and not a child. It is not known, however, if a custom similar to today’s bar mitzvah was celebrated in the first century. After three days they found Him in the temple, sitting in the midst of the teachers (Luke 2:46). 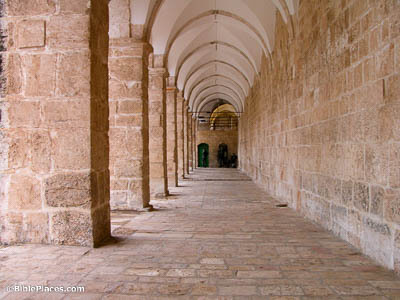 The colonnades along the edges of the Temple Mount were a common meeting place, protected from the sun and rain. It’s likely, then, that this is where Jesus sat with the teachers. While the colonnades of Herod’s temple were all destroyed, this one on the modern Temple Mount gives us an idea of what they may looked like.